Image | This entry was posted in Uncategorized and tagged bullocks, cart, colombo, oxen, palms, posed group, sri lanka. Bookmark the permalink. 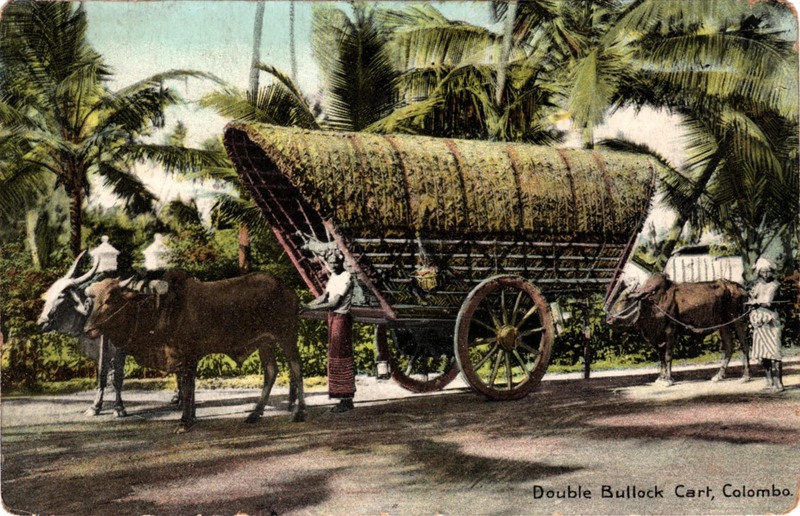 I’m writing up some web stuff as a non-profit venture primarily for a Sri Lankan audience, when I saw your image of the bullock cart in Colombo. Would I have your permission to use this image and I am happy to credit it to you and your website. It’s my postcard but I don’t claim any rights or control over its usage. So you’re welcome to use it as far as I’m concerned although there’s always a remote chance that somebody might challenge it. It’s not happened to me so far. Good luck with your project.